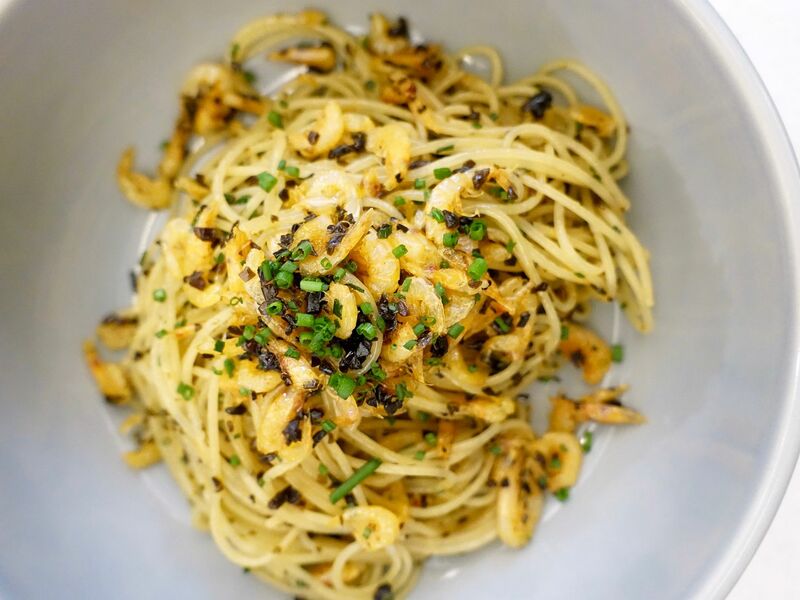 A hot new restaurant opening in Tanjong Pagar is Venue by Sebastian at Downtown Gallery. This casual modern European restaurant with a touch of Asian flavors is helmed by Chef-Owner Sebastian Ng, former Chef-Owner of the now defunct Restaurant Ember, and Chef de Cuisine Jonathan Lee, former Head Chef of Artichoke. The sharing plates menu highlights some of Chef Sebastian's signatures from Ember across eight dish categories including, ‘Toast’, ‘Fritti & Greens’, ‘Pasta’, ‘Raw, Cured & Smoked’, ‘Pan, Coal & Roast’, ‘Sides’ and ‘Sweets’. From the toast section, I enjoyed the toast with the foie gras mousse ($12) the most. 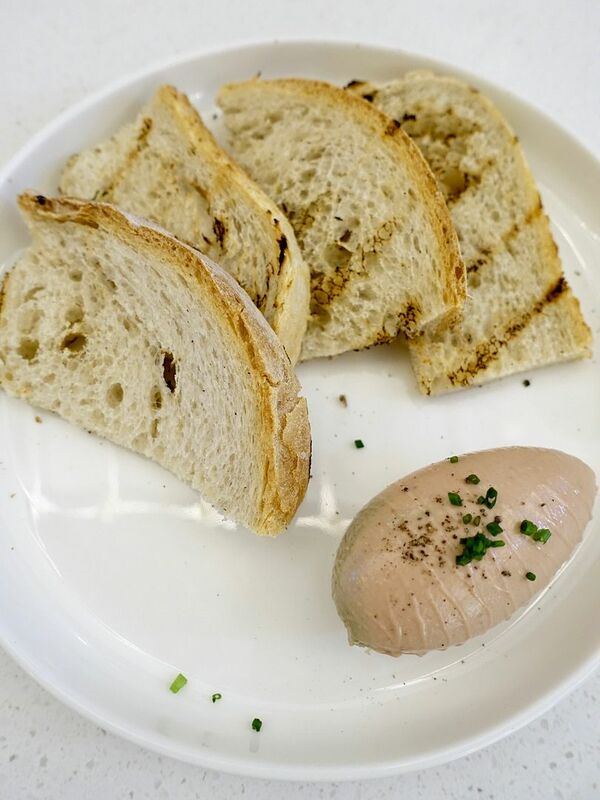 Who doesn't like a creamy pate on fresh crunchy bread? The chopped seasonal mushrooms with truffle oil ($8) could have been given a creamier texture, or at least something to bind the finely chopped pieces. Or do what we did and the foie gras with the mushrooms before spreading it on the toast. 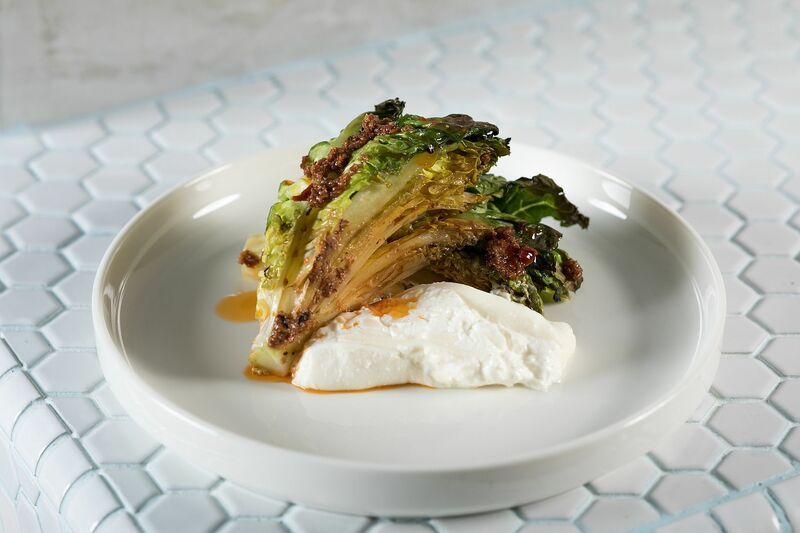 Under the Fritti & Greens, highlights for us include the cauliflower fritti with spicy mint aioli ($10), grilled Spanish gem lettuce with burrata and mentaiko vinaigrette ($19) and the lovely seasonal Jerusalem artichoke soup with crispy duck ($8). 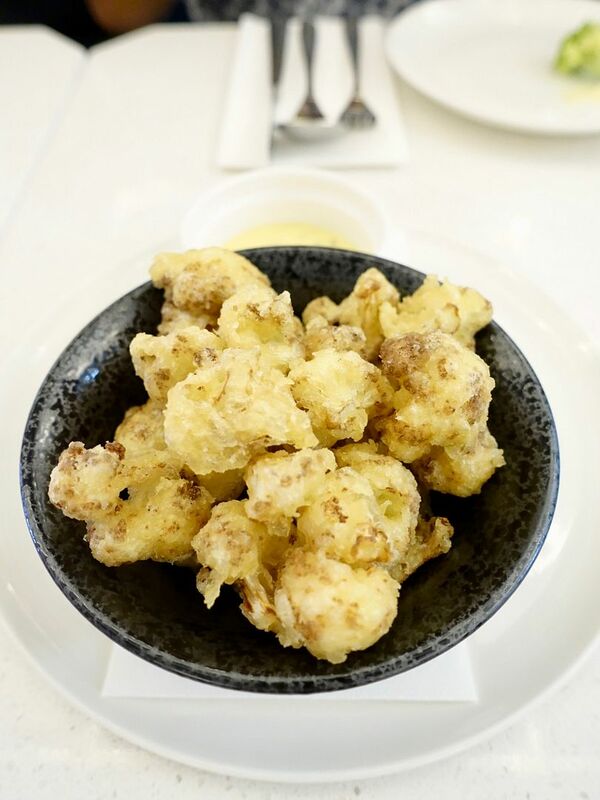 Cauliflowers are such great snacks and i swear you wouldn't be able to stop popping these crunchy bites of florets that have been lightly coated and deep-fried. As much as I love my raw and cold salads, the grilled version of the Spanish gem lettuce fared better than the cold one, which was bland in comparison even with the anchovy sauce. For $9, I'd rather get a salad elsewhere. 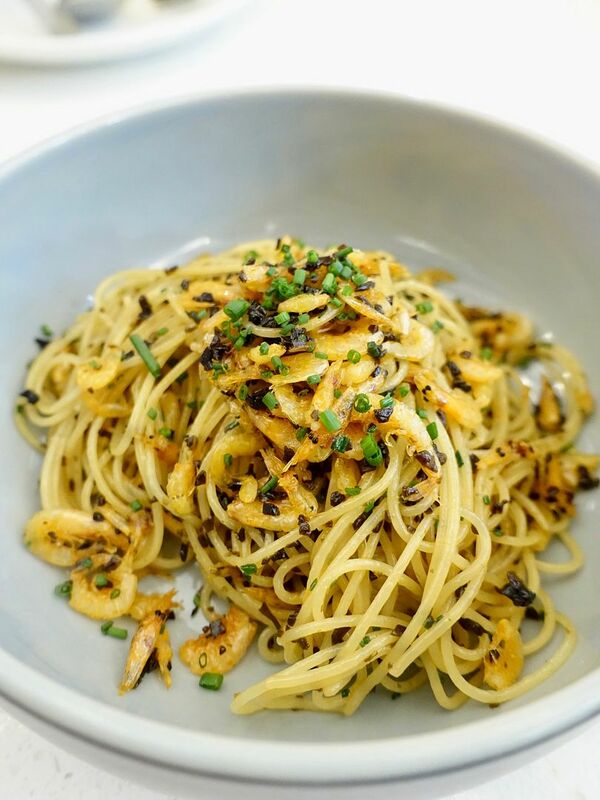 Head over for dinner and you'll be able to dig into Venue's gorgeous angel hair pastas. While the idea/flavor isn't anything innovative, Venue by Sebastian outshines the rest by providing stellar rendition of the dish. The perfectly al dente noodles were cooked in various styles here. Love a creamy one? The konbu and truffle oil ($23) was smooth and silky and we loved how the noodles were coated in the umami sauce. The sakura ebi with konbu and chili ($27) version provides diners with a crunchier bite with its dry stir-fry noodle style of preparation. The fragrance is simply intoxicating. 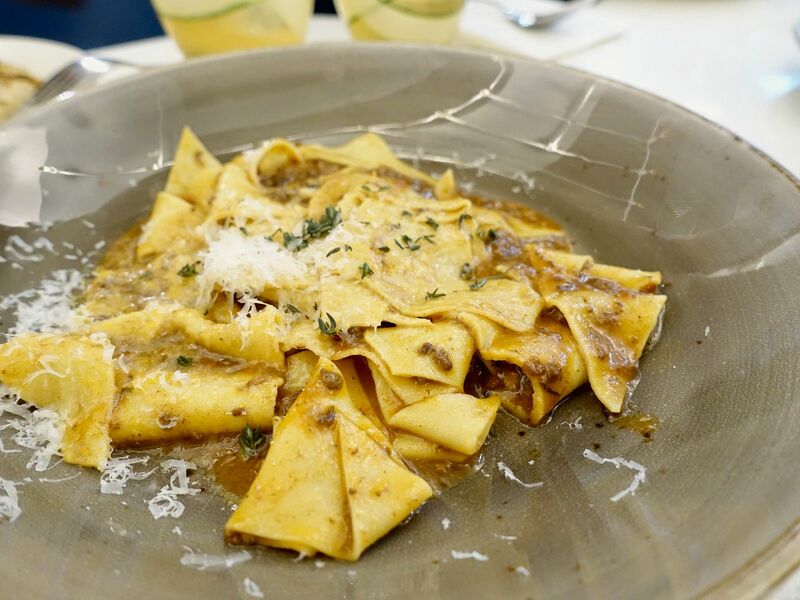 For punchier and meatier carb dish, the hand-cut pappardelle with a comforting tomato-base duck ragout ($21) is accentuated with the sharp Parmigiano Reggiano. I know there's a tendency to skip chicken but the wood-grilled Chermoula chicken with lemon ($15/leg) is one of the best chicken dish i've had this year (the other being the twice-cooked chicken roulade at SPRMRKT). 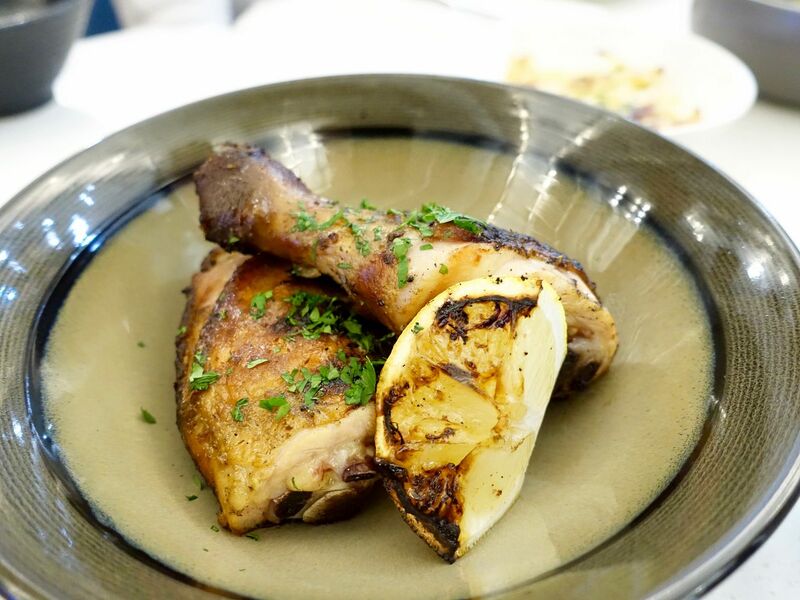 This succulent leg of chicken has been marinated in their house-made chermoula for two days and slow-grilled for at least 40 minutes over wood fire for an intense smoky flavor. Plus that paper thin crispy skin!! 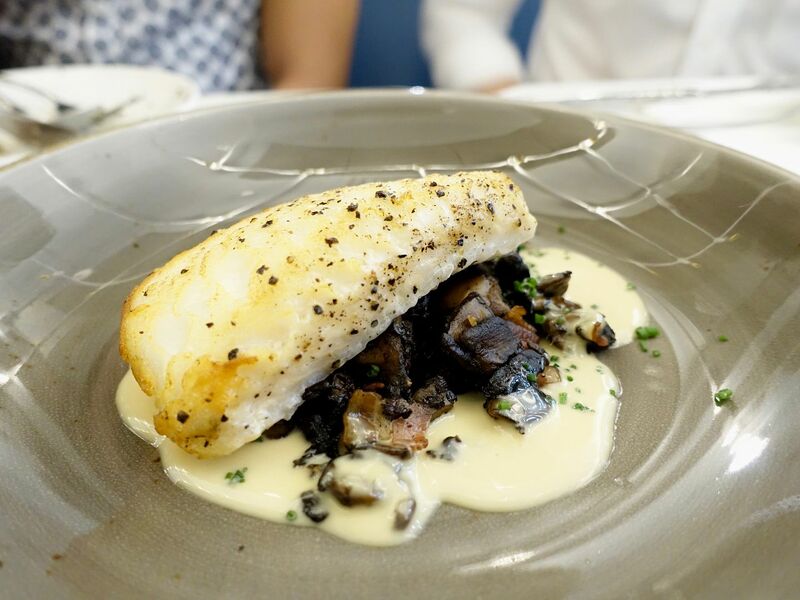 Former regulars who were familiar with Chef Sebastian’s Chilean sea bass with mushroom and bacon ragout and truffle yuzu butter sauce ($36) will be pleased to find this dish on the menu as well. Delightful plate with a refreshing cream sauce. 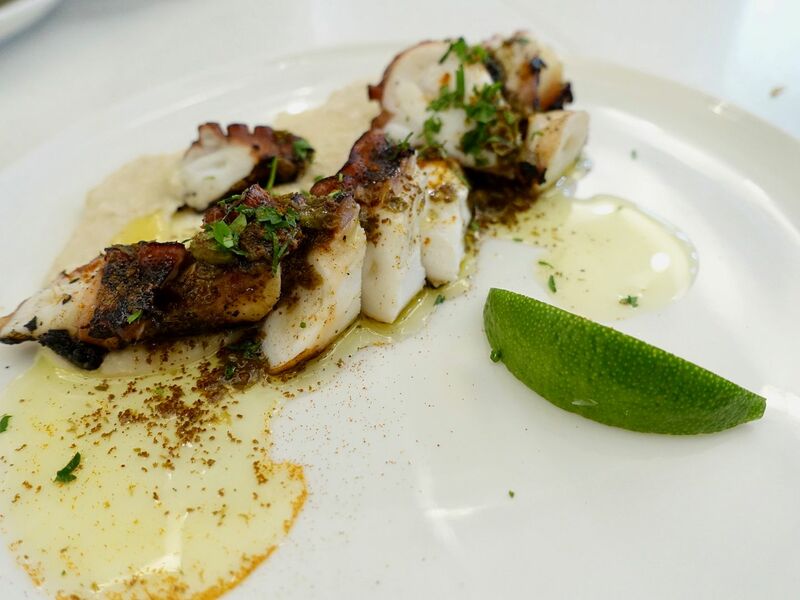 The grilled octopus with bean purée, capers and burnt butter ($27) is another noteworthy seafood dish. The Australian-sourced octopus is cooked to a perfect tender texture and served alongside a creamy white bean purée and some savory capers to top. The portion is really small though. 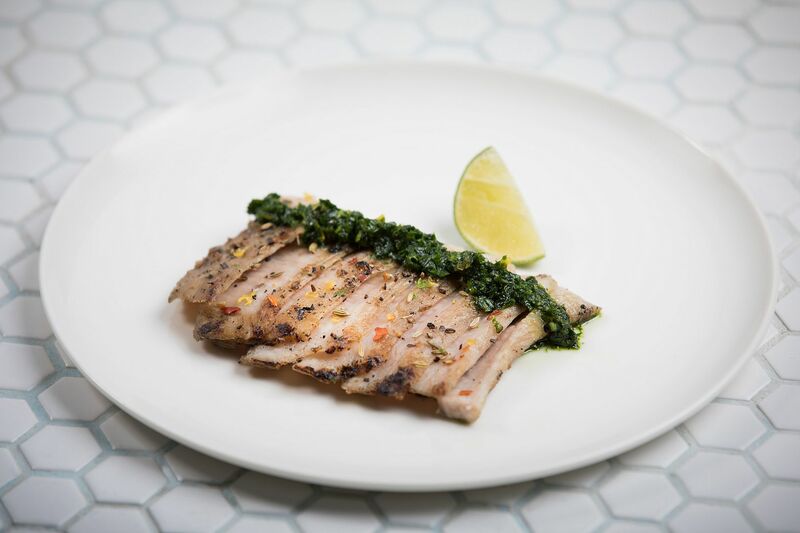 The portion size of the Iberico pork jowl with gremolata and lemon ($18) is also not suitable for sharing IMO. I'm sure you'd want more of these tender slices. 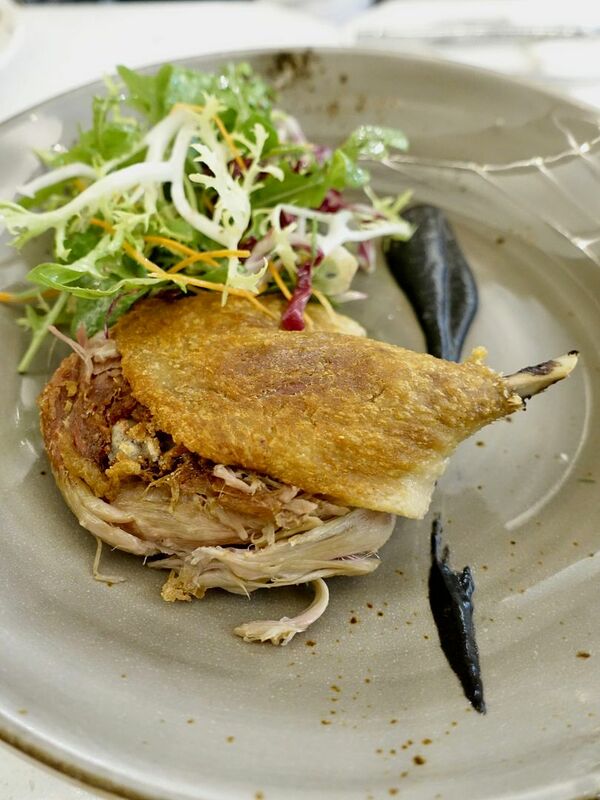 In comparison, the Chef Sebastian's signature Duck confit ($19) provides more value for money in terms of filling your tummy. However, the dish was unmemorable. For desserts, i adore the pear tart with baileys ice cream ($14). 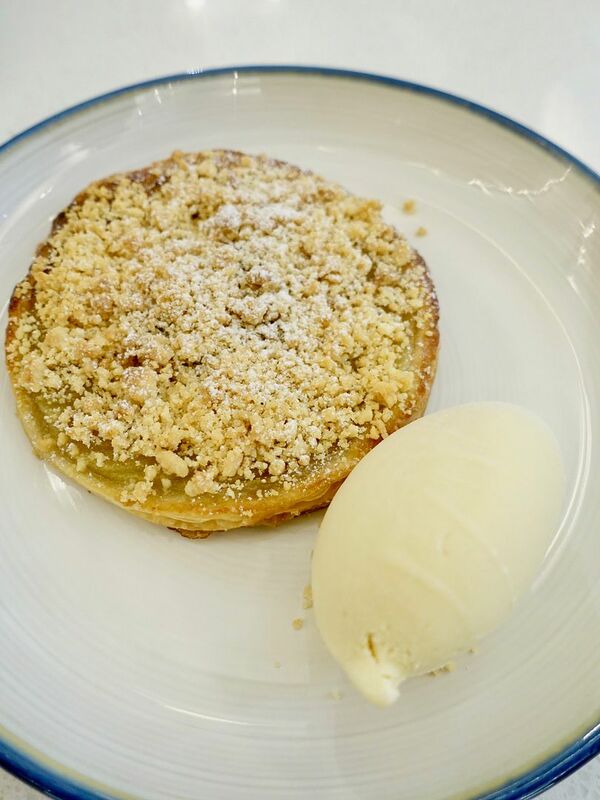 The filo pastry tart base is absolutely crispy and the crumble added a lovely crunch to each bite. The apple "pie" with rum and raisin ice cream ($14) is also delightful but there's more moisture due to the apple filling. 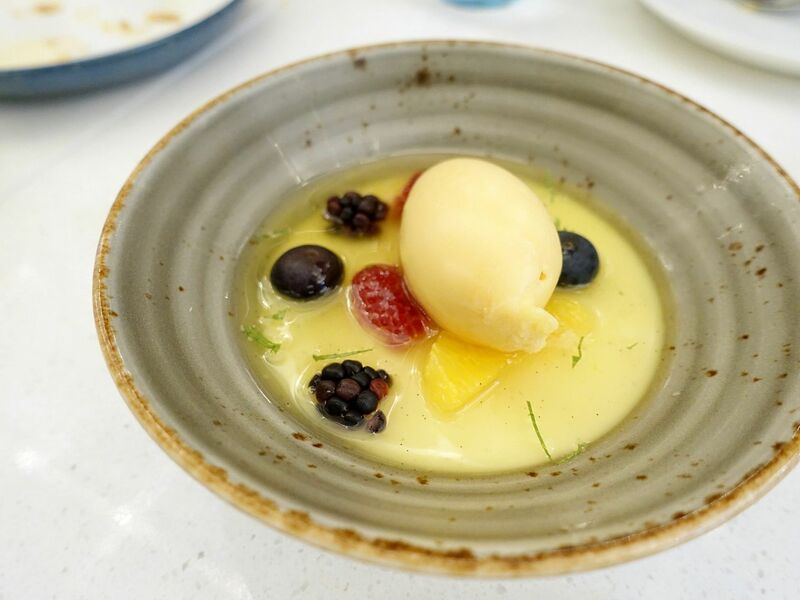 An interesting spa-like dessert is the spiced panna cotta with blood orange sorbet ($12). Well it tastes like aromatherapy+lemon dishwasher but Jr likes it. Well.. try it for yourself! 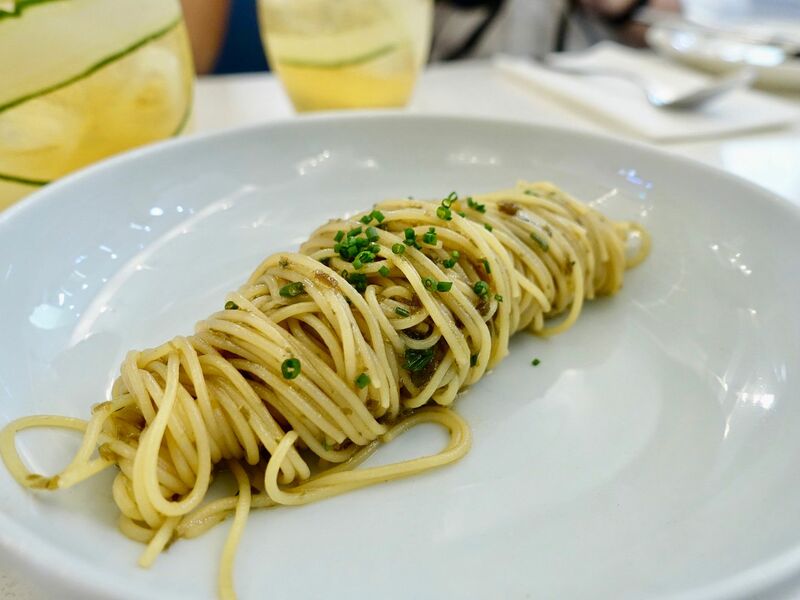 Head over to Venue by Sebastian with a group of friends in order to tackle the extensive menu! The lunch menu features a condensed selection of the dinner menu, whilst a special Bodega Hour menu serving bar snacks and attractively-priced beer and wine from 5.30 to 6.30pm will be launching soon. 6A Shenton Way #01-02, Downtown Gallery.